Do you face difficulty in bending over and again to pickup items dropped on the floor or toys dropped by your dog ?. Why don’t you teach your dog to pickup the items or his toys that he left on the floor while playing? 😉 . Yes you can train your dog to pick up items dropped on the floor and even make him recognize items by their names. Imagine instructing your dog to clean up the mess that he makes while playing with his toys in your room. That would not only be super useful for you but it will also be a very handy game for your dog to stimulate his brain. Some dogs can even recognize items by their names. Teaching your dog to recognize items by their name and picking them up will be great for emotional development for your dog and will also strengthen your bond with your pet dog. 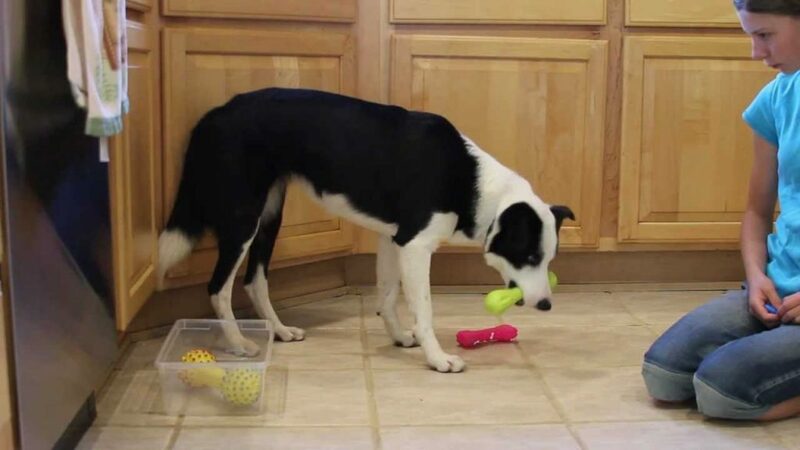 You can Start Training your Dog to Pick Items IF…..
Whats the Need to Teach your dog this Trick? You have already taught basic commands like Sit, stay, handshake or play dead. You plan to teach a young dog or a puppy, he should have developed permanent strong teeth so that his baby teeth do not get damaged. Your dog mouth naturally. Dogs that don’t mouth naturally can also be taught to pickup dropped stuff but you would need to teach them commands like “Take It” or “Drop It”. Read on further…. Hold your Dog’s favorite toy in your hand and shake it. Then say ‘ Take it ‘ followed by your dog’s name with enthusiasm. This will excite him to grab that toy. Just when he snatches it away from your hand, reward his behavior. To teach this command, your dog must already be holding the toy in his mouth. Hold his favorite treat in your hands and say ” Drop it”. Once he drops the toy to grab the treat, reward him for his behavior with a pat on his head. If your dog doesn’t drop the toy even after looking at the treat, don’t be worried, after all it’s his favorite toy. Use an enticing treat such as a piece of cheese and keep trying for atleast 5-7 minutes. He would surely drop the toy either after getting bored or due to that piece of cheese. It is important for you to teach your dog these two commands and once you feel that he is obeying your ‘ take it’ and ‘drop it’ commands, you can begin training him to pickup stuff off the floor. You need to tire your dog mentally as well and this training just fulfills that for us. 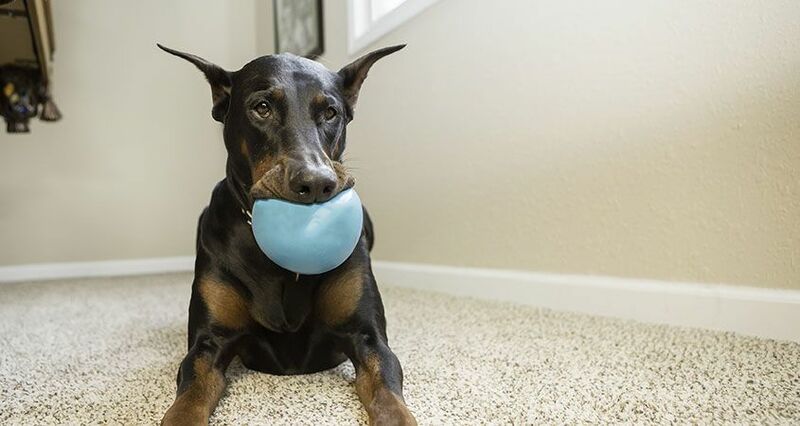 Your dog will be able to help keep the house clean. Do not rush with the training, start with small items that can be easily fitted in the mouth. A small article of clothing such as a t-shirt or a small chew toy would be ideal to start with. Carry good amount of treats with you to reward your dog’s good behavior and you need to teach him ‘ drop it’ command so that he knows where to drop items once he picks up from the floor. Be patient as any kind of training takes time. Do not get Frustrated and give up easily. Place the item you want your dog to pick up on the floor and wait with a clicker and treat. Just when he touches the item, click and reward him with treat. Let your dog know that he accomplished something by touching that item. Start slow. Increase the level of the training further. Wait for him to touch his mouth with the item. Just when he touches, click and reward with treat. He may show some other behavior, just ignore everything else and wait for the desired results. This is a big step. Wait for your dog to pickup that item in his mouth. While he is mouthing it, click and give lots of praises and rewards like treats and pat on his head. It will take some time for him to accomplish this step. Be consistent. Move the item at different places and repeat the above steps. Use ‘ Bring It’ command to make your dog bring the item close to you. He may not be able to bring it exactly to you but even if he succeeds in bringing the item towards you, click and give treats. When your dog tries to pickup the item and bring it closer to you, extend your arm and then give the command ‘ bring it’. If he drops the item on your hands, click and reward him with a lot of praises, treats and pat on his head. In this way, you both will spend quality time doing something useful and productive together and you will strengthen bond with your pet dog. If you have a dog that doesn’t mouth naturally, you need to teach your dog first the ways to hold things in his mouth. Start with something like a small chew item and hold it in front of his mouth as it is easier for him to mouth if you hold it in your hands. When he mouths the item that you hold in your hands, click and reward that behavior. Try this same trick with a harder chew toy so that he gets a habit of mouthing harder and bigger items. Place the hard chew toy on the floor and then encourage your dog to mouth it. When he mouths or touches his mouth to the item on the floor, click and reward with a lot of praise. Transfer this behavior to the household items that you want you dog to pickup like his toys or keys and practice the above steps again. Repeat and try to end the training session on a positive note to encourage your dog to learn more. Add Verbal commands like ‘pick this’ and ‘give it’ so that he recognizes the name of the activity. If in case you are still looking to train your dog basic commands like sit, stay or trying to potty train or house tain him, I Recommend trying the best selling online dog training program which contains 250 training videos in just $1 (Limited Time). 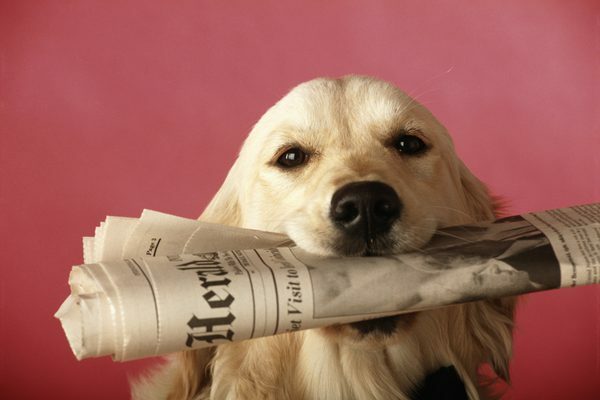 I Hope you Liked this article explaining ways to Train your Dog to Pickup Items off the Floor.